“Aquaman” director James Wan won’t say much about Jason Momoa‘s upcoming DC film, except that it will be made in the spirit of an “Indiana Jones” film. “Aquaman,” which will hit theaters on July 27, 2018, also stars Amber Heard as Mera, the queen of Atlantis. But before then, the duo will appear in “Justice League” alongside Ben Affleck, Gal Gadot and Henry Cavill in November of next year. Last week, “Justice League” director Zack Snyder gave fans a sneak peek of Mera, showing Heard in a green scaled bodysuit and stunning headpiece. 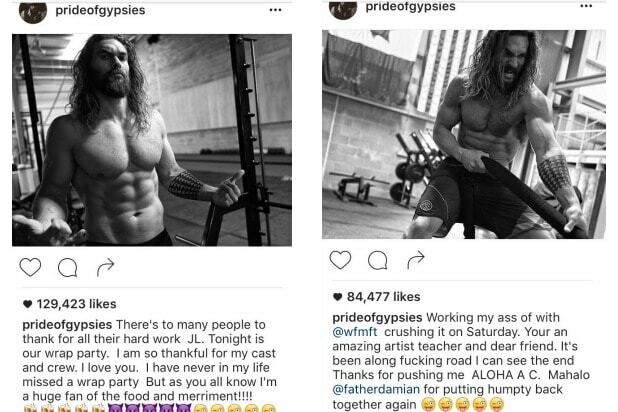 "Justice League" star Jason Momoa is thanking the cast and crew as filming wrapsÂ the only way he knows how: with a picture of himself shirtless. "There's to [sic] many people to thank for all their hard work JL," Momoa wrote on Instagram.Â "Tonight is our wrap party. I am so thankful for my cast and crew. I love you. I have never in my life missed a wrap party But as you all know I'm a huge fan of the food and merriment!!!!" "Unfortunately I prepare for the north. For those that will be there. 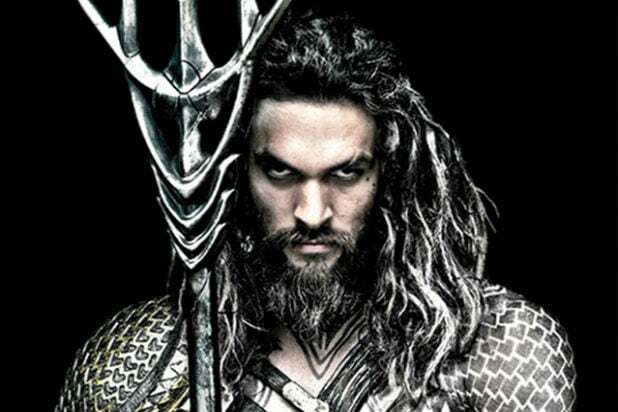 I WON'T let you down," he concluded, most likely referring to his upcoming role in the "Aquaman" standalone film. Of course, one could jump to the crazy conclusion that Momoa was referring to a return to "Game of Thrones." A picture he posted back in August with show creators David Benioff and D.B. Weiss got fans buzzing about a possible return of Khal Drogo.Â ZackÂ Snyder is directing "Justice League," which unites superheroes Batman (Ben Affleck), Superman (Henry Cavill), Wonder Woman (Gal Gadot), Aquaman (Momoa), The Flash (Ezra Miller) and Cyborg (Ray Fisher). Charles Roven and Deborah Snyder are producing the film, which was written by Chris Terrio, who wrote Affleck's Best Picture winnerÂ "Argo." "Justice League" is scheduled to premiere Nov. 17, 2017.